If you have chosen to take the leap of faith and start your own business, congratulations. The step you have taken is a bold one, one that many people attempt, but few are successful at. Unfortunately, if you have decided to start a business there's a lot more involved than just hanging your name or that of your business on a door, then waiting for customers to come to you. In order to get started successfully, you need to decide what sort of entity you will be operating. If you want to start out literally operating out of your back pocket, that's fine, but there are many advantages to forming a separate business entity. One among many advantages is the ability to get credit quicker than someone who has not formally created an entity. The second is liability; if your business hurts someone, for example, the injured party can literally take everything you own, unless you can create something separate from yourself, and that is your business. Sole proprietorship. This is the basic form of business when you are operating as you, yourself, and I. It's you and nobody else. 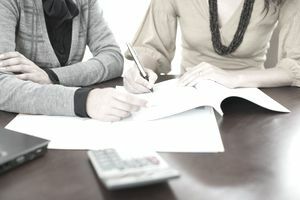 Despite the fact that a sole proprietorship is taxed as an individual, it is still a separate business entity when it comes to things like business credit and liability. As a result, most banks will not extend credit to you unless you form a business entity with which they can do business. Partnership. If it's you and one or more other people who are working together in your business, you could form a partnership. Still, a business entity that you could get credit for having, a sole proprietorship limits the liability of the owners to the number of their investments. Most small businesses that operate today are formed as sole proprietorships. Corporation. A corporation is formed when people contribute money, property, or both to form and operate the business in exchange for shares of ownership in the firm. Again, a huge advantage for a corporation is the ability to obtain business credit. Liability and other issues are also limited to the amount of the investor's interest in the firm. LLC. An LLC, or Limited Liability Corporation, is a business entity that is allowed by the state. Some types of businesses are not allowed to operate as an LLC, but where they are they give their participants, called "members" a lot of freedom in what they can do. You should always check with your state to find out what their regulations call for. "S" Corporation. A business entity that might be a sole proprietorship or a partnership, but whose owners wish to avail themselves of the tax advantages and others of a corporation can form an "S" Corporation. Just as is the case with an LLC, an "S" corporation is created at the state level, so state regulations dictate what this type of business entity formation is allowed. "C" Corporation. A "C" corporation is another form of business entity that is much like an "S" corporation but with considerably more freedom of structure. For example, while an "S" corporation can have only a certain number or less of shareholders, a "C" corporation has no such limits, Just as is the case with other business entities, a "C" corporation gives owners the ability to separate their business assets and debts from their own. Taxes are paid on business profits as well as on shareholder earnings. Also like other forms of business, a corporation allows an enhanced ability to get business credit when it is needed. The listing above gives a good overall comparison of the different business entities that are available to owners when they are beginning or operating a business. In order to determine what is best for your situation, you should contact an attorney, an accountant or get advice from another business consultant. Further, they can advise you as to the rights as well as the limits of each form of business, as well as how to go about exercising the options in each type of business.